For valentine’s day I want to do something special for my friends, because usually I just give them chocolates. 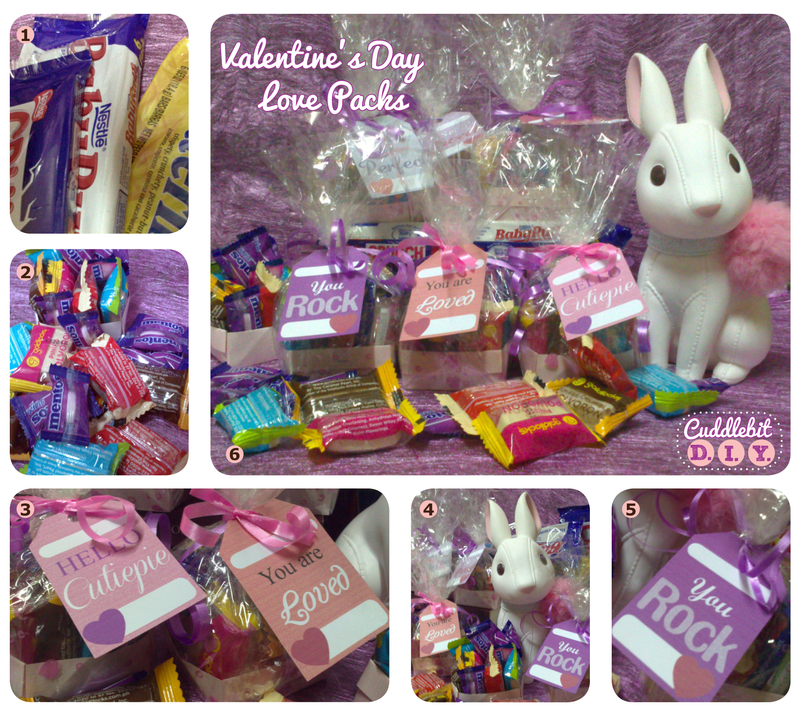 But for this year, I want to create my own valentine pack/s to give. My friends are fond of sweets (just like me!). So, I went to find some bite sized chocolates, candies and polvoron (powdered milk candy), some pretty paper and cellophane wrapper and went to work. I made small paper trays and filled them with equal number of treats, wrapped it in cellophane wrapper and tied it with a ribbon and attached a tag to it. I thought I did good, the bundles look cute! It was easy to make and fun to do as well! 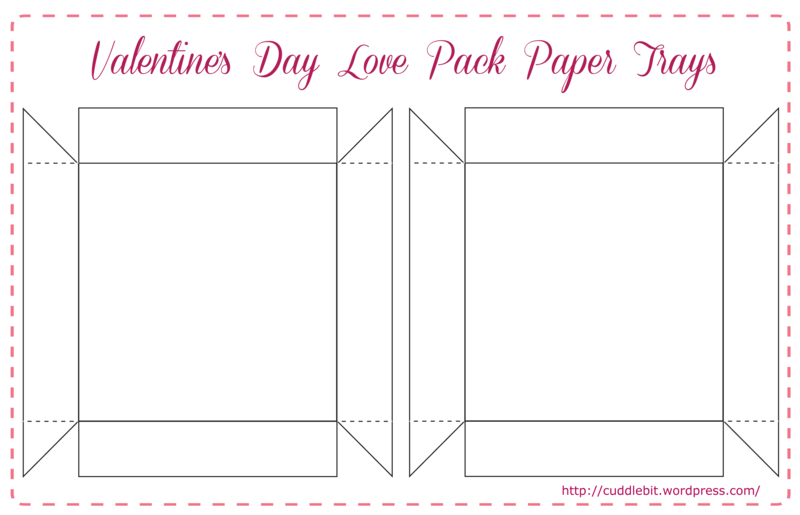 I thought I would share the paper tray and tags as a free printable, so you can make some love packs to give! 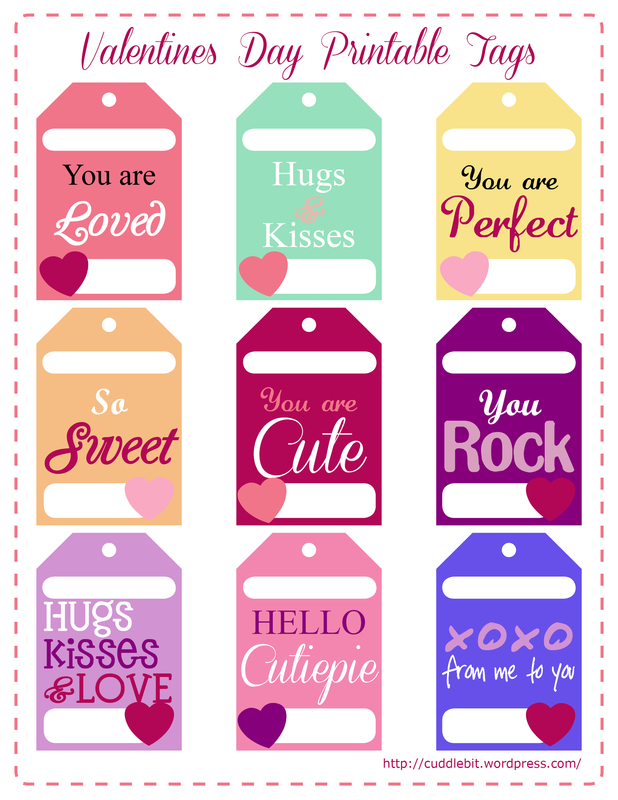 Categories: crafts, printable freebies | Tags: craft, freebie, gift, printable, valentine's day | Permalink. I got it as a CNY present for a friend of mine. Cute huh? A Shisa looks a cross between a lion and a dog. Its a Japanese version of the Chinese Foo Dogs 福獅 or the imperial guardian lions. They always come in pairs, its a yin and yang concept. Usually seen on gates of temples and the house gate of the wealthy. People put it on their home gate or on the roof to prevent the unfortunate/vicious thing from coming into their place. Meant to ward off evil spirits. They are adapted by the Japanese and calls them “komainu”, although in Okinawa it is still called ” Shisa“, Korea, Tibet and Myanmar also has them too . Although what I have is the small version, I think it could also “guard” the table of its owner, or maybe just look cute to act as a stress reliever. 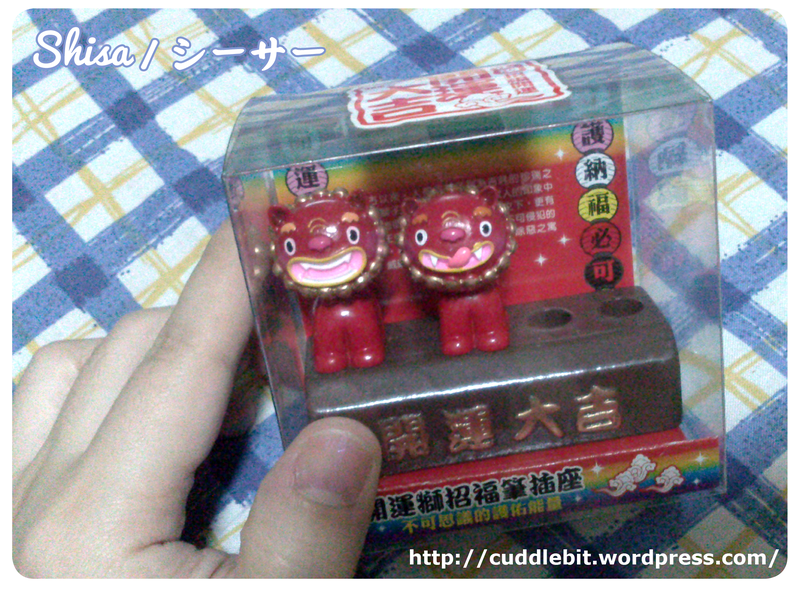 Categories: Chinese Stuff | Tags: chinese, feng shui, foo dogs, gift, komainu, Shisa, yin yang | Permalink. Its a few more days to the Chinese new year. This year is going to be the year of the snake that would start at Feb 10,2013. I am usually looking forward to the CNY for 3 things. 1.) All the yummy food. 2.) Red envelopes containing money 紅包 or commonly referred to as angpaos. 3.) Chinese new years cake made of glutinous rice 年糕 or in the Philippines is commonly known as Tikoy. There are also a lot of festivities and preparations for the CNY. At home we usually abide by these traditions: Cleaning the house before the New Year (means sweeping out all the dirt and all the broken things are disposed for a fresh and efficient start. ), Getting a haircut (I really don’t know why we do this, we just do. But a haircut on the new years day is a big NO! it must be done before. ), Buying new tableware (cups, bowls, plates, etc. these are supposed to mean that in the coming year the household will have more to eat. ), and buying round fruits like mandarin oranges, grapes, pomelo, pears, apples, banana. add candies to the list of things to buy as these will symbolize a sweet year ahead. My mom usually visits Chinese temples to offer incense, flowers and fruits. But really I am looking forward to it because the year of the Snake is good for those born under the year of the Ox. Categories: Chinese Stuff | Tags: Angpao, Chinese New Year, CNY, crab, tikoy | Permalink.